I recently wrote a blog on the top 6 things you should never leave off your CV – and it seemed to cause quite the kerfuffle online. The first thing I mentioned was that you should always include your home address on your CV – but this divided opinion massively. While some agreed that it allows you to be discovered by employers, others argued that it could leave you open to discrimination. With this in mind, I’ve pulled together people’s comments and come up with a list of pros and cons for putting your address on your CV, so you can make your own mind up. Failing to include your address on your CV can mean that you miss out on opportunities that you might not normally come across on your own. For example, when you sign up for job boards, you sometimes have the option to sign up for CV databases. This means that employers and recruiters are able to search these databases to find relevant candidates for their vacancies based on skill set, experience and – most importantly – location. By leaving you address off your CV, you run the risk of not being found for a role you might be the perfect candidate for. If you do decide to omit your address from your CV, this could set warning bells off in a recruiter’s mind as they wonder what you’re trying to hide by leaving out this very important detail. Recruiters and hiring managers are very busy people, and it’s not a good idea to frustrate them by failing to provide all relevant information on your CV. Also, if they’re presented with two equally qualified candidates and one has included their CV while the other hasn’t – who do you think they’re going to pick if they’re put under pressure? Finally, including your address from the get-go means that the whole process (which is very time-consuming as it is) is a bit less drawn out for both sides and runs more smoothly. There’s nothing more frustrating than getting quite far in the recruitment process, only to find out at the interview stage that the employer has some serious concerns about your commute time and won’t be hiring you. Sometimes it’s worth just avoiding this problem by being upfront in the first instance. The only real issue people had with including your address on your CV is that it allows the employer or recruiter to make assumptions based on your proposed commute time from your current address. Some argued that this is unfair and that they omit their address details because some people are happier to make longer commutes than others, and others would be willing to relocate or are planning to relocate so including your current address doesn’t convey this. However, if you feel there may be concerns about your commute time, state on your CV that you’re happy to commute long distances and that it’s not a problem. Or, if you are willing to relocate, this should be one of the first things you put on your CV – and even mention cities that you’re happy to relocate to so that your CV comes up in database searches. This point is one that came up in discussions and not one I agree with, but there were concerns that including your address on your CV could leave you open to identity theft. While there have been cases in the past of fake recruitment agencies advertising jobs to gain information about candidates and using this in identify fraud, this is very rare and as long as you’re signing up with reputable job boards and recruitment agencies, you will be fine. 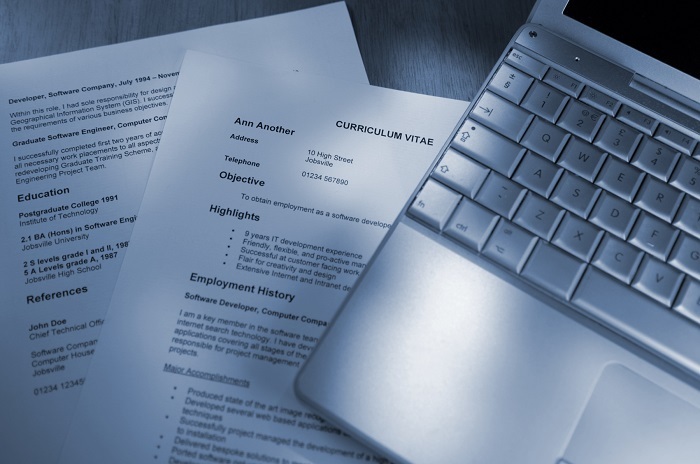 So there we go, some pros and cons of including your address on your CV. I think it’s pretty clear which camp I’m in – but what’s your opinion on this issue? This article was syndicated from Business 2 Community: Should You Include Your Address On Your CV?